I am going to share a secret with you about the history of Reggae Music. I think now is the opportune time as I think you are at a place that you can handle it. This genre did not originate with Bob Marley nor his world renown song One Love. The term reggae was derived from rege-rege, a Jamaican phrase meaning “rags or ragged clothing,” it is used to denote a raggedy style of music. The reggae genre came into to being in the 1960’s as an evolution of the Rocksteady and Ska musical styles. Reggae music is a soulful entertainment in Jamaica. It expresses in words the pain, struggle, hope and emotion that is felt by the average person. 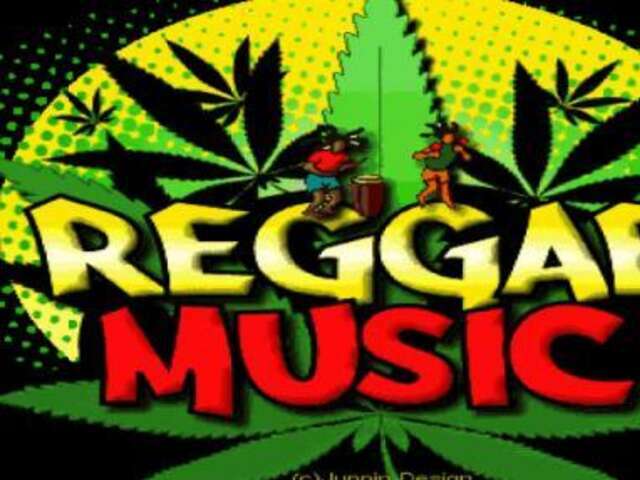 Reggae music is recognized by its lament-like chanting and emphasizes the syncopated beat. It is distinguishable from other genres in the heavy use of the Jamaican vernacular and the African nyah-bingi drumming style. Reggae began to rise to international acclaim as the 1970s progressed. A seminal moment for the genre was the release of the 1973 movie The Harder They Come starring Jimmy Cliff. The movie soundtrack consisted of only reggae hits; this contributed in elevating the music to a internal platform. Of course, Bob Marley is the world’s best known and loved international Reggae ambassador. Marley’s career spanned more than a decade, beginning in 1963 with Rocksteady band, the Wailers, and culminating in the release of his 1977 solo album, Exodus, which achieved international acclaim. Marley was not only a Reggae singer, but a committed Rastafarian and a political activist. Through his music, his words and his actions, he earned forever a place in Reggae fans hearts around the world. Marley’s music was first popularised in the Wes by Eric Clapton performing a cover of Who Shot the Sheriff. Since the 60s and 70s, Reggae music has spread and developed in many different ways around the world. Reggae is still going strong in its pure form around the world too, with many modern Reggae bands achieving success in the mainstream. For authentic reggae experience you can visit the following places for a reggae cultural experience. Visit Nine Mile which is the birth place and final resting place of reggae legend Bob Marley. Listen to the knowledgeable guides tell stories of Bob’s childhood! Stand on Mount Zion Rock, where Bob used to meditate and rest your head on ‘the pillow’ that was made famous in the song ‘Talking Blues’. Take a family-friendly tour of Bob Marley museum. The Museum is the former home of the reggae legend. Bob’s home is filled with rich memories and treasured mementos, which seek to preserve the life and accomplishment of this great Jamaican and outstanding musician. Participate in Sumfest Reggae Festival. This is Jamaica’s biggest reggae festival, It is a three-day festival in Montego Bay is a three-day extravaganza (from July 12 through the 18th. It features internationally known music acts and contemporary takes on reggae alongside more tried-and-true originals. For Beach Lovers – To experience reggae in its most relaxing setting, nothing beats the soft, welcoming vibes of a sea-lapped Caribbean Beach. In Ocho Rios, you’ll find the appropriately named Reggae Beach, with the notes of improm ptu jam sessions (and the scent of jerk chicken) emanating from small beach bars, and late-night bonfires with DJs supplying the sound track. This quarter-mile beach is small but secluded, and you won’t have to battle huge crowds for beach real estate. Visit Horace Andy Record Studio – Horace Andy is best known for his 1973 cover of “Ain’t no sunshine,” Take the opportunity to explore this famous record studio, and access a once in a lifetime opportunity to have a studio session with Andy personally. Visit Randy’s Records – This record shop was opened in 1958 by Vincent”Randy” Chin; a legendary record producer. Although Mr. chin is deceased the shop is still heavily visit from persons from all across the world. Visit Tuff Gong International Recording Studio – a visit to Jamaica would not be complete without stopping by this world renown studio that contains Bob Marley’s original recording equipment.